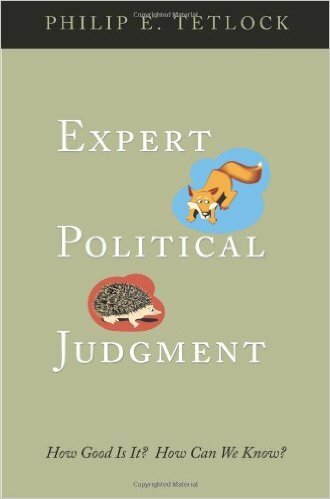 Expert Political Judgment: How Good Is It? How Can We Know? - IFA Vintage and Current Book Library - Index Fund Advisors, Inc.
Notes: The intelligence failures surrounding the invasion of Iraq dramatically illustrate the necessity of developing standards for evaluating expert opinion. This book fills that need. Here, Philip E. Tetlock explores what constitutes good judgment in predicting future events, and looks at why experts are often wrong in their forecasts.